The work and passion of Mohammed Hashem and his Auskick in Egypt initiative was at risk of falling away. 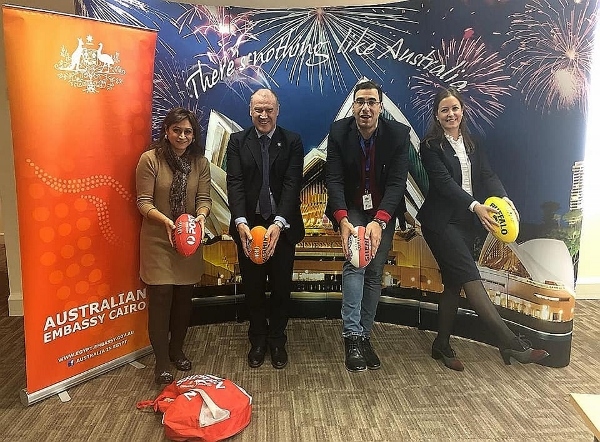 But the Australian Embassy in Cairo stepped in and suddenly there are Australian Rules footys in Egypt. Mo Hash’s dream can now continue. Following is his account of what it has taken to grow the game in a part of the world that previously seemed worlds away from the Aussie Rules heartlands. There were certainly many people involved in the processes to get these footballs into Egypt. “The AFL and the AFL Diversity unit as well as the Australian Embassy here in Egypt need real praise. The hardest part was the international sending and shipping, so the embassy were the real movers there. 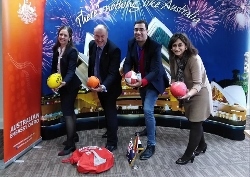 It might also be the next step in Australian Rules football taking a firm hold in yet another country on the other side of the world.